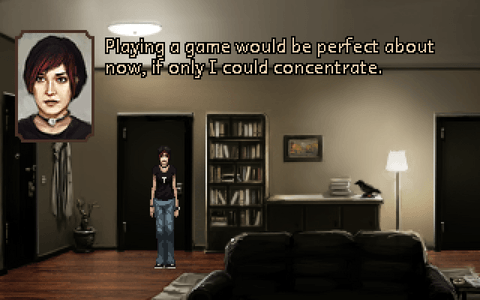 A game landed on my desk a few weeks back, The Charnel House Trilogy. 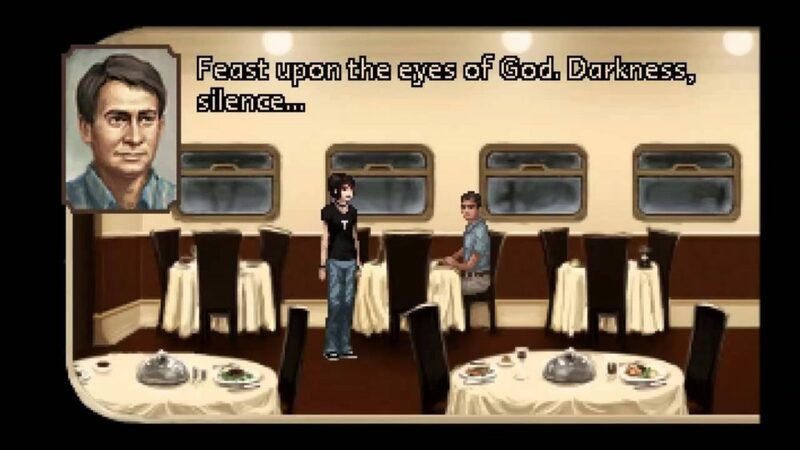 Lacking familiarity I looked and saw it was an indie point and click title. My heart dropped a little because I was hoping for some crazy gore filled horror game. I tossed it aside for a while so I could try and finish Dying Light or Evil Within. Time passed and I needed a break from the nerve wracking insanity of a zombie apocalypse, so I fired up what looked to be some great story telling, I wasn’t let down. 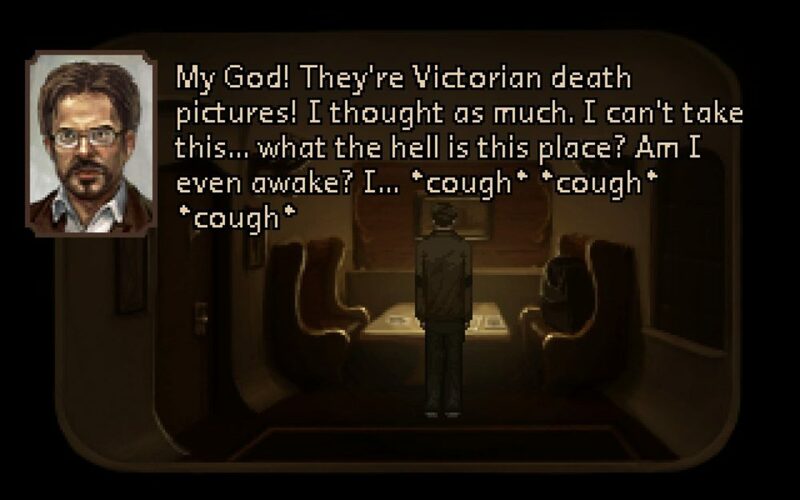 The game is comprised of three separate chapters (Inhale, Sepulchre, Exhale) and opens in the apartment of Alex Davenport. She is planning a trip to Augur Peak Island where a friend is currently working. Alex comes across as a bit of an introvert and seems to be going through some things with those in her life. This trip should help to alleviate some of her real world pressures. The story also circles around Dr. Lang who is headed to the island for some archaeological research. This island must the be the place to be! There is not much more of the story I want to divulge as things unfold almost perfectly along the way. Things are a little slow going at the start but with good reason, by the third act I was knee deep in the narrative and could not wait to see how this dark tale ended. The voice acting is spot on and features some of video game celebrities like Jim Sterling. Each interaction is believable which can be hard to do in a point and click title. Don the conductor comes to mind as one of the memorable supporting cast members that brings a nice bit of humor to this unsettling story. My only gripe with the voice acting would be consistency. It seemed each was a different volume, probably from being recorded separately versus together in a booth. I also noticed a little bit of white noise or feedback during some of the dialog. Graphically this game will not blow anyone away and it shouldn’t, the draw here is the story and characters. There is a certain subtle beauty to the scenes that help to sell the story and claustrophobic nature of being on a train. I was disappointed that the game required me to play in a smaller window, if you increased the window size to the max things became a little distorted or 8-bit like. The score and music fit each scene perfectly. I enjoyed the score enough to look into purchasing it for my Itunes library. Sound effects were limited but used to cue you into things that might be going on off-screen. Again, this is a game that revolves around the story so if you need a ton of wild sound effects you might want to fire up Call of Duty. The gameplay is pretty basic for this type of title, you follow a cursor around examining and interacting with the environment/characters. At the beginning there doesn’t seem to be much that one can really click on but I will tell you to click any pixel you can because there are plenty of hidden goodies. Bottom line, the gameplay is old school point and click that works perfectly. Why try to reinvent the wheel, did I mention it’s about the story here? -Why no hi res or 1080p? -Seems a little short at 90 minutes (yeah, I’m being selfish). 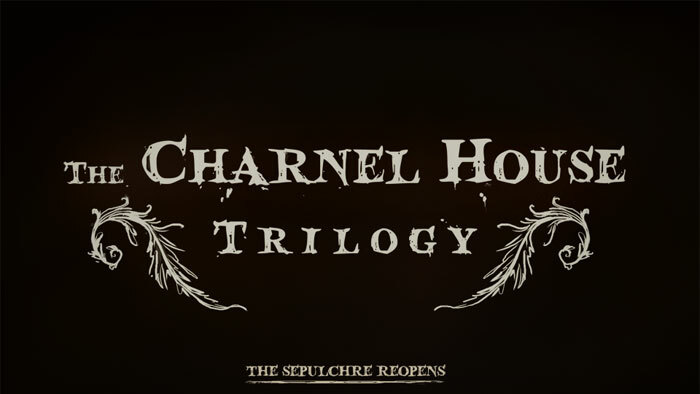 The Charnel House Trilogy is a ride worth taking, 90 minutes might seem a little short but who can complain for a measly $5.99 at the Steam store. This was a very nice unsettling break from all the current “in your face” horror games that rule the genre. If you can get past not having 1080p visuals and fast paced gameplay this title is sure to please. Be warned though, you will want more at the end of the third act, luckily the credits mention a return to Augur Peak in 2016.